a.) Superstar/Hotshot producer hired by a label or artist to produce recordings. b.) 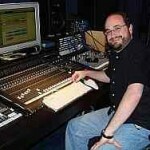 A typical independent or beginning producer. Let’s discuss how each one of them can earn money or charge their clients. The label or an artist would be looking for a producer with the required creative vision to record and complete the master recording for an artist album or singles. Once they decide on the producer that would be handling the recording project; the producer would then be contacted if he/she is interested. Then it follows some negotiations and talks that will be formalized in an producer-artist agreement:https://www.audiorecording.me/recording-producer-and-artist-guide-on-legal-agreements.html initiated by the label or the artist themselves. This agreement stipulates all terms regarding the recording project that the producer would be handling. The first money that would discussed during the negotiation would be the producer advance payment. 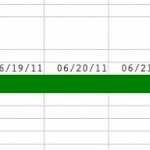 A producer with proven track record (e.g. successful album releases, multi-platinum producer) can command a higher advance fee during the negotiation. Successful producers can receive between $5000 and $20,000 as an advance payment. But new producers might be receiving less than $5000 for their first project. For small labels or even just an artist hiring a producer to produce her/his album, an advance of $100 to $2000 is typical. Some record producers would not even ask for an advance or royalty based on record units sold but would only ask for a one-time/flat fee to produce either a single song or an entire album. This cost would now be inclusive of studio rental fee, other session players’ fee, etc. For example Steve Albini was hired by Nirvana to produce their last studio album “In Utero”. He refused to receive any royalties based on album sales. He simply asks for $100,000 flat payment for all the services rendered (Source: Steve Albini on SOS). But Steve Albini would have earned around $500,000 total if he agrees to received royalties based on album sales. This implies that how much money a producer can make strongly depends on his/her business ethics and principles. Some producer takes a cut from every records sold in terms of royalties, so they have a potential to earn a lot. Some producers like Steve Albini view this concept wrong and greedy. They refuse to accept any royalties except for a one time payment. The label or artist does not have the ability to produce professional recordings themselves but they only have talent and songs. 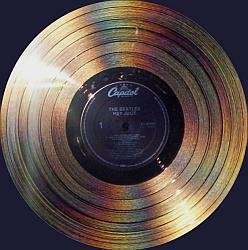 The record producer is hired to transform these songs and performances into professional recordings so that it can be marketed and distributed for sale. It is why the artist/label would be willing to spend some money on hiring a producer.